Carpet Cleaning Snellville GA - Citrus Fresh - Expert commercial & residential carpet cleaners, upholstery & area rug cleaning service professionals in Walton County, Georgia Natural citrus solution for carpet stains, germs, odors, and residues. Carpet Cleaning 30017, 30039, 30078, Carpet Cleaners 30017 30039, 30078, Gwinnett County, Georgia. 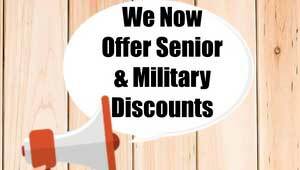 US Vets, Seniors, Teachers 10% off pet issues & tile cleaning. Insured LLC. Upholstery Cleaning. Flood Damage Repair. Vehicle Interior Cleaning. Rugs. Services: Residential Cleaning, Commercial Cleaning in Snellville Georgia . Snellville GA Carpet Cleaning Quotes - Free Quick and Easy. Get Your Free Quote Today. 20 Years of Experience. Carpet Clean Warranty’s. Get a Free Quote. Services: Carpet Cleaning, Rug Cleaning, Floor Cleaning, Upholstery Cleaning, Tile & Grout Cleaning. Serving Snellville GA, 30017, 30039, 30078, Gwinnett County, Georgia and surrounding area. Call Today !